Well, folks—sorry for the few day delay, but our series on the 12 Principles of Joint Operations is back with Episode 3: the Three “S”’s : Security, Surprise, and Simplicity. Somehow I get the feeling we’ll be talking a whole lot of Okehazama today…let’s get to it, shall we? The previous two installments can be found HERE (Objective, Offensive, and Mass) and HERE (Maneuver,Economy of Force, and Unity of Effort). (1) The purpose of security is to prevent the enemy from acquiring unexpected advantage. (2) Security enhances freedom of action by reducing friendly vulnerability to hostile acts, influence, or surprise. Security results from the measures taken by commanders to protect their forces. Staff planning and an understanding of enemy strategy, tactics, and doctrine enhance security. Risk is inherent in military operations. Application of this principle includes prudent risk management, not undue caution. The need for security in military operations should be fairly evident. Surprises, especially those that shoot at you, are not good things on the battlefield (and that’s leading to the next principle, but we’ll get to that). As the first bullet says, security is about preventing the enemy from getting the drop on you. Sometimes, this is done through intelligence, i.e. finding out what the enemy is going to do before he does it, so you can counter it. Sometimes, it’s done through maneuver (see, they all flow together), putting yourself in position to take advantage of enemy weaknesses. Yoshimoto never really liked rain anyways. I’ll go more into security and its relationship with other principles in the final post in this series, but the simplest way to demonstrate it is to look once again at Okehazama. Imagine you’re Imagawa Yoshimoto in command of your 25,000-man army. You’ve got piddly little Oda Nobunaga in front of you with maybe 2,000 men, and your vanguard under this young Matsudaira Motoyasu kid has already taken some of Nobunaga’s forward fortifications. You’re going to blow through Owari pretty easily. It’s getting to be the middle of the day, and you’re kind of hungry. There’s no hurry, as Nobunaga’s probably just going to hide in his castle. The question is really will he die there or surrender to you? Anyways, it’s lunch time, so let’s just park the HQ here and start eating, shall we? And so you do, and a little while later a fight breaks out amongst some of your men…perhaps someone had a little sake with their lunch and things got out of hand…hey, why is that samurai running this way with his sword drawn? “You, there, stop!”…he’s not stopping…oh crap he’s an Oda samurai!! We all know the basic story—Yoshimoto stops and is so confident he doesn’t really mount a guard force. 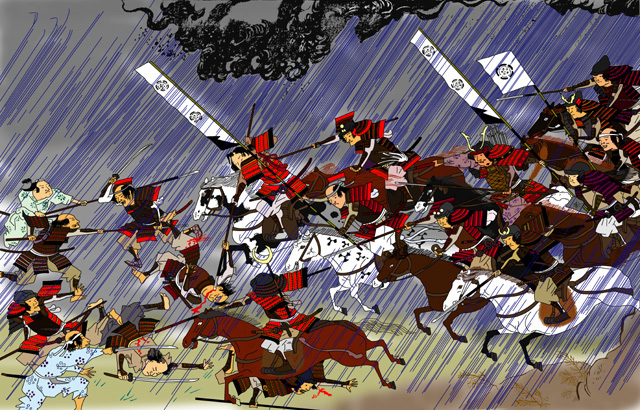 Nobunaga’s much smaller force swoops in under the cover of a rainstorm and takes out Yoshimoto and his headquarters. Yoshimoto’s problem? No security—apparently he didn’t feel the need for a security perimeter of guards to give him early warning before Nobunaga’s attack. (1) The purpose of surprise is to strike at a time or place or in a manner for which the enemy is unprepared. (2) Surprise can help the commander shift the balance of combat power and thus achieve success well out of proportion to the effort expended. Factors contributing to surprise include speed in decision-making, information sharing, and force movement; effective intelligence; deception; application of unexpected combat power; OPSEC; and variations in tactics and methods of operation. This is another principle that should be fairly obvious to understand. Anyone kid armed with a water gun knows that you have to sneak up on the other side to get them before they get you. As the second bullet says, surprise can shift the balance of power—and it’s the other side of the coin when discussing security. Nobunaga, as we discussed just before, had a vastly inferior force to the Imagawa army that confronted him at Okehazama. However, he did what was unexpected, attacking instead of hiding in his castle, and took the Imagawa unaware. We won’t go into too much detail, but all of the factors in bullet two played into Nobunaga’s favor. Nobunaga made a quick decision on how to react to Yoshimoto’s invasion; he gave orders on where to attack the enemy (shared info); moved his force through concealed routes; had a clearer picture of what was going on thanks to scouts and knowledge of the area; placed banners and flags at a dummy position and maneuvered without them (deception); appeared “out of nowhere” to attack Yoshimoto’s HQ; kept his plan concealed even from his closest commanders until the last second (OPSEC—Operational Security); and all of these are examples of tactics that deviated from the norm. You know what else is a surprise? 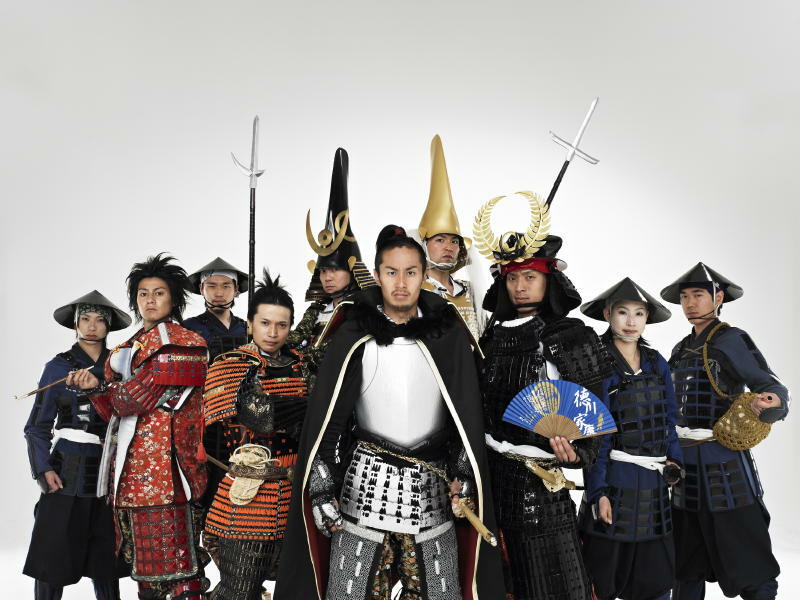 That all samurai generals apparently were members of a boy band. Surprise isn’t always this dramatic—it can be something much less spectacular than attacking out of the blue like at Okehazama. But surprise gives one side significant tactical advantage that can only be countered with due attention to security. It also applies to the operational level of war—Akechi Mitsuhide counted on having some time after eliminating Oda Nobunaga at Honno-ji to consolidate his control. That Toyotomi Hideyoshi was able to disengage from the Mori, much less do so quickly enough to be back in the capital area and defeat Mitsuhide at Yamazaki less than 2 weeks later, is a good example of operational surprise. (1) The purpose of simplicity is to increase the probability that plans and operations will be executed as intended by preparing clear, uncomplicated plans and concise orders. (2) Simplicity contributes to successful operations. Simple plans and clear, concise orders minimize misunderstanding and confusion. When other factors are equal, the simplest plan is preferable. Simplicity in plans allows better understanding and execution planning at all echelons. Simplicity and clarity of expression greatly facilitate mission execution in the stress, fatigue, fog of war, and complexities of modern combat, and are especially critical to success in multinational operations. Simplicity is the military version of Occam’s Razor, or, alternatively, the Keep It Simple, Stupid (KISS) Principle. Ultimately, no matter if you’re using swords, guns, or UAV’s, warfare is conducted by people (at least until 2020, when Rock’emSock’em Robots become the preferred method of settling international disputes). People make mistakes, especially under pressure—when what Clausewitz calls “friction”, or what we know now as “Murphy’s Law” happens. The more complicated your plan is, the more steps there are to make it work, the more things that can go wrong to derail it, and the more details there are for a subordinate to forget. The simplest solution is the best solution 9 times out of 10. The 4th Battle of Kawanakajima is a good example of simplicity done wrong. We’re all familiar with the Takeda’s genius plan “Operation Woodpecker”, supposedly concocted by either Yamamoto Kansuke, Baba Nobuharu, or the two of them together, in which the Takeda split their forces and attempted to maneuver around the Uesugi positions on hills to the north and attack them from behind with one force, forcing the Uesugi to run down the hill into the waiting spears of the other Takeda force. Great plan, but it was a tad bit too complicated to execute—especially the timing of it. Unfortunately for the Takeda, the Uesugi had designs of their own and moved off the hills while half the Takeda army was trying to go around them. The Takeda were faced with the entire Uesugi army charging down on them, with half of their own army actually moving away from the battle. Desperate fighting saved the Takeda from complete collapse before the detached force could arrive back on the battlefield, but the complicated plan opened an advantage that the Uesugi were able to exploit. Historians are divided on who (if anyone) “won” at 4th Kawanakajima, but it’s fairly obvious that the Takeda took the worst of it, due in no small part to out-thinking themselves. Well, that’s it for this installment. Next time, we’ll look at the three relatively new additions that the US military has added based on experiences in Iraq and Afghanistan, among others: Restraint, Perseverance, and Legitimacy. We’ll see whether or not these also fit in a Sengoku context. See you then! The above comments represent the views of the author only, and should not be interpreted to represent the views or official position of the United States Army or the Department of Defense. Department of Defense. Joint Publication 3-0, “Joint Operations” Washington, D.C.: 11 August 2011. Pg. A-4.